Rose and Geranium relaxing floral bath bomb. When it comes to mom, she deserves the best, right? Thought so. 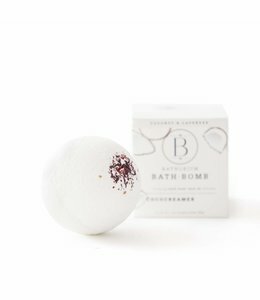 This new luxury Bathorium bomb will have you in the good books all year long. 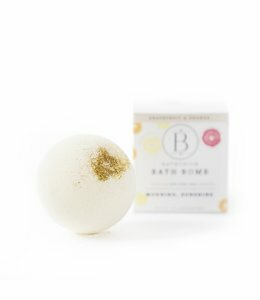 This fizz releases a cascade of orange, rose and ylang ylang essential oils along with skin softening sea salts and hydrating cocoa butter. Coconut milk creates a creamy frothy lather and real rose petals float subtly to the surface, truly creating an escape for mom. Light fragrance of gardenia and geraniums put the mind to ease, escape to the garden of Mama's Perch. 2. Fill the tub half way. 3. Remove all packaging and drop in the bomb! 4. Get in. You've earned it! Sodium Bicarbonate, Citric Acid, Sea Salt, Kaolin Clay, Corn Starch, Sodium Lauryl Sulfoacotate, Dehydrated Coconut Milk, Sweet Almond Oil, Cocoa Seed Butter, Sweet Orange Oil, Pelargonium Roseum Leaf Oil (Rose oil) , Ylang Ylang Oil, Geranium Floral Oil, Fragrance, Hamamelis Virginiana (Witch Hazel), Aloe Leaf Juice, Dried Rosebud, Colourant. Matcha green tea and peppermint moisturizing bath bomb. Exotic moisturizing lemongrass and mandarin and avocado bath bomb. Coconut and Lavender relaxing bath bomb. 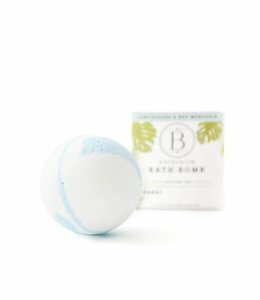 Energizing Orange and Grapefruit with Jojoba Bath Bomb.